Old fashion cinemas are rapidly disappearing in Ontario and all across the country. 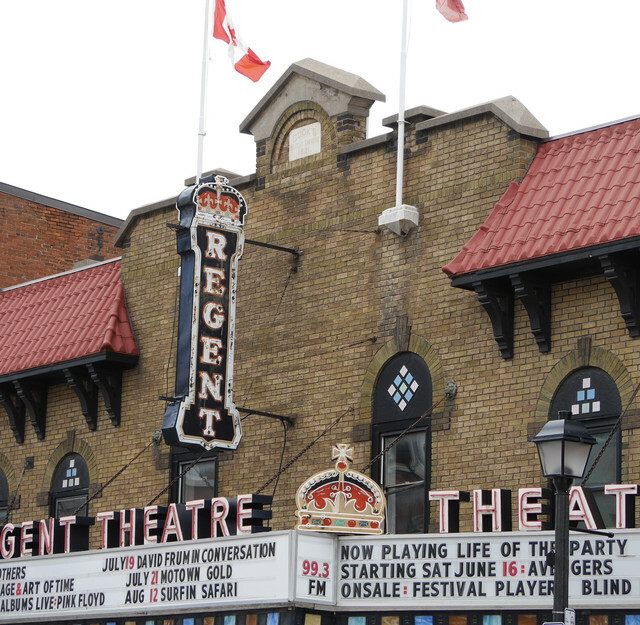 In Picton, Ontario, however, the Regent is still a centre for music, movies and live theatre. This entry was posted in Architecture, Challenge, daily photo challenge, Photography and tagged Becky B, daily photo challenge, June 20, June Squares, photography, Picton, Regent cinema, Roofs by Mama Cormier. Bookmark the permalink. Great roof and excellent it has an alternative but appropriate new life. I just heard that a similar cinema here in Toronto was being renovated to become a multi-functional venue. Nice that these old places aren’t being torn down.